Made up of over 200 members the Global Lottery Collectors Society is growing rapidly in numbers as lotologists from around the world become members. The hobby of collecting lottery tickets, known as lotology, is one of the newest and fastest growing hobbies on the Internet. Collectors worldwide are able to come together and share their love of lottery tickets as they trade with one another, share collecting stories and gather together for their annual Lotovention. Lottery ticket enthusiasts collect many different types of tickets. There are collectors that study the artwork that goes into the tickets they collect. Others only want lottery tickets of a specific geographical area, type or time period. Naturally, there are also lotologists that collect a broad range of lottery tickets without limiting their collections with any guidelines. Most of the states in the United States hold individual lottery drawings with a few states joining for mega lottery drawings. Several European and African countries hold lotteries on a national level, and lotteries take place in many provinces and territories in Canada and Australia. Tickets from all of these different locations are highly sought after by many lotologists that collect tickets based on area of origin. Lottery ticket collectors look for many different types of tickets to add to their collection. A very popular type of lottery ticket is the instant ticket. Also called a scratch off or instant game, this type of lottery game is played by scratching the latex covering off the playing area. If the ticket is a winner, payment is made immediately up to a certain dollar amount. If winning amount is over a certain amount, the winner must take the ticket to a lottery office to receive payment. Lotologists collect instant game tickets in three categories. Used, or SC, tickets are those that have been played or scratched off. Although players usually throw away losing lottery tickets, lotologists find them to be a valuable resource. They often collect the discarded tickets and trade them with collectors from around the world. 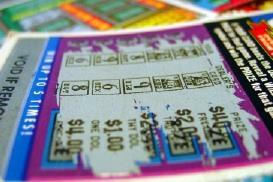 Used lottery tickets are even found at online auction sites such as Ebay. Used tickets fall into two categories, tickets scratched off by non-collectors and those scratched off by collectors, known as collector scratched tickets. Collectors carefully scratch off the ticket by removing the smallest amount of latex possible. Mint lottery tickets, also known as unused or MT, are tickets that remain unscratched. Although no one knows if the tickets are winners or losers, there are lottery collectors that believe investing in mint tickets is a better choice. A sample/void, or SV, ticket has been voided and has no value. The most common use for these tickets is promotions and displays. Lotto tickets, and the bet slips used to choose numbers, are also sought after by lotologists worldwide. Pull tabs, also known as pop ups, are another type of instant game that is highly collectible. The 2008 national convention marks the twentieth year that lotologists have been gathering to share their hobby and trade tickets. The first unofficial meeting took place in the Pennsylvania home of Bill Pasquino, co-founder of the Society. If you are interested in joining the Global Lottery Collector's Society click the link, print the application and send it with your membership fees to the address on the application page.